The Snooze Button Generation 2019: The James Brown Mexifest comes back! 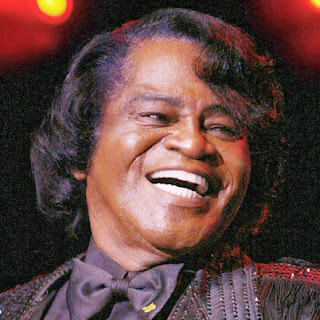 The James Brown Mexifest comes back! 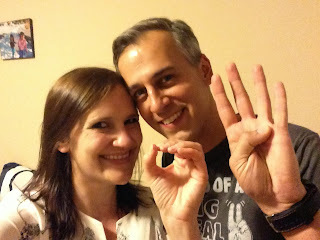 I am officially old now as I turned 40 yesterday and celebrated the milestone with a "James Brown Mexifest." Back in 1991, I founded the Mexifest with my pals Ryan Kenealy and Mark Schofield. The plan was simple: Eat Mexican food, and listen to the Godfather of Soul. Obviously, that is a recipe for a rip-roaring party. Every year in Columbus, we had the Mexifest. Eventually, the party was passed on to a worthy compadre Chuck Hootman, who kept it going for a while and even got bands to play. One of the highlights of the event was hearing people in a bar talk about going to the Mexifest, even though I had no clue who the people were. Yesterday, on my 40th birthday, my mom was in town, and my partner Tova put together a rip-roaring time. We got a taco guy. Tova got me a karaoke machine, and because of my seasoned party management skills, I feel great today. Despite my penchant for epiphanies and conspiracy theories, I have no major announcements about the meaning of turning 40. I have to accept 40, just like all aging, and I continue to cultivate salt and pepper hair. I enjoy the simple things in life - being with family and friends, having a good IPA, translating Russian literature and playing high-stakes baccarat. I am hoping that the turning of 40 makes the James Brown Mexifest an annual event again, and there are more entries like this one about the Mexifest on the interweb.